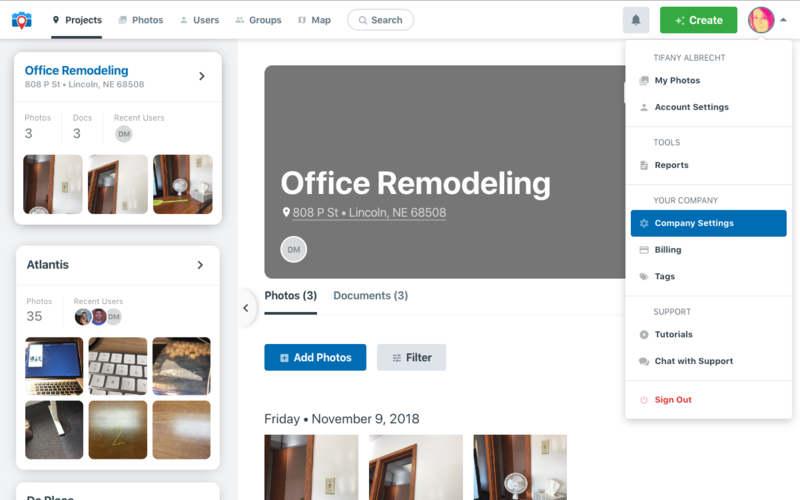 Easily organize HOVER photos and measurements automatically with CompanyCam. 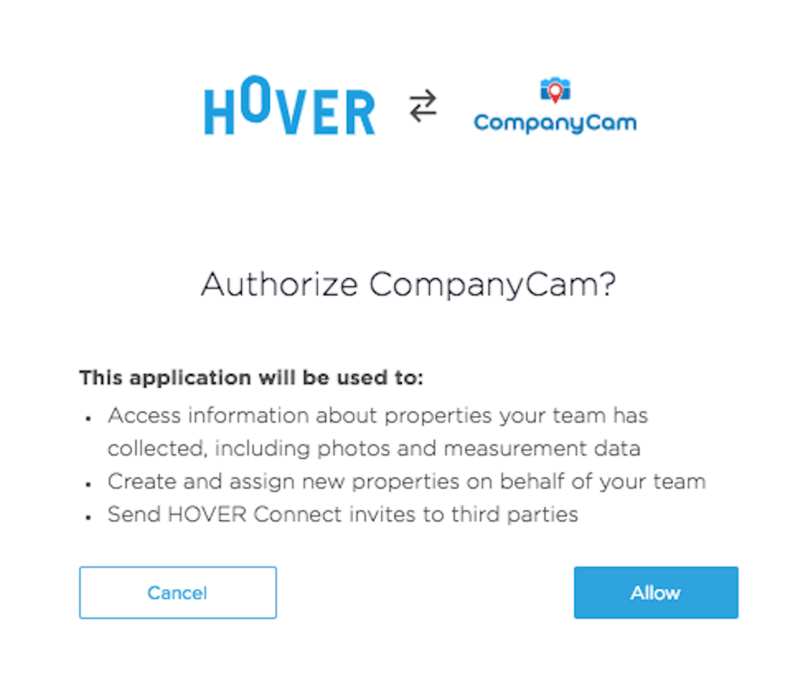 You must have an active account with both CompanyCam and HOVER in order to integrate the two platforms. 1. Log in at app.companycam.com, hover over your user icon (upper right) and choose 'Company Settings'. 2. 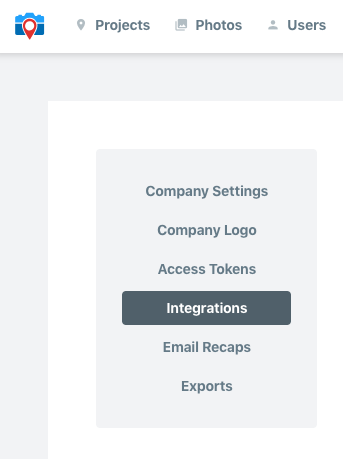 Click 'Integrations' on the left. 3. Click 'Integrate' Next to HOVER. 4. Click 'Connect' — this will automatically open HOVER. 6. After clicking 'Allow', you'll be taken back to CompanyCam automatically, and you will see this message: You're all set! 2. Take photos in HOVER, submit for measurements. 3. When the Property Measurements are complete, the job will sync to CompanyCam as a new project. 4. When the Measurement PDF is ready in HOVER, it will sync to the correct project in CompanyCam, under Documents.